Why cellphones and ipads have become a real nightmare for photographers. Especially during the ceremony and other purely reportage moments during a wedding. 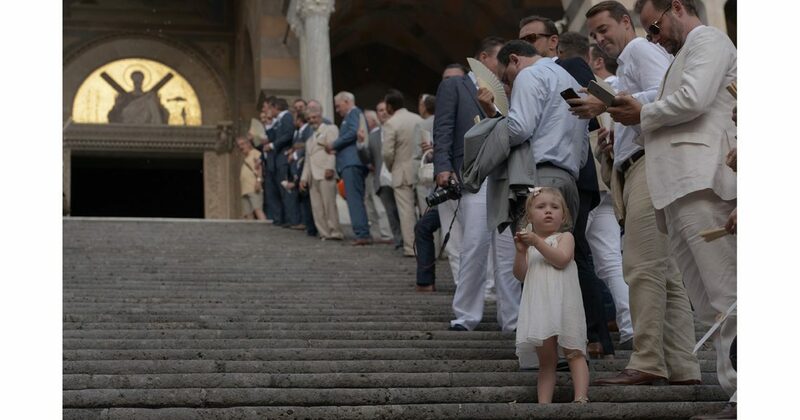 When we look back at the guests during the ceremony, instead of seeing faces and their emotions, we see what looks like a bad advert for iPhones or iPads. The ceremony is one of the moments during a wedding when we can take great emotional portraits. Well it used to be, now we have cell phones and iPads which block our view. Some guests even climb onto the alter or stand up to get a better view. This can upset the celebrants and they can even call an end to all photography during the ceremony, thanks to these indiscreet and inconsiderate photographers. Even guests who have bought big cameras on their trip to china can really get in the way. Often when shooting the exchanging of rings I have the friend photographer as a background. Or Uncle Harry with his shiny bald head and his huge camera. When I complain, Uncle Harry insists “ don’t worry I got a good shot”. I usually shoot with at least one other photographer and we carefully plan strategies to make sure we are not in each other’s images. Naturally a professional or non professional photographer friend will not have any idea about these and they can often unintentionally ruin your images. There is no way your guests’ cellphones will compete with the quality of our cameras. After the ceremony we always end up with very little time and so much to do. (Couple portraits and group images) At least 10 guests will stop the couple to take photos with their cellphones in the worst light with the bad backgrounds. This can waste up to 30 minutes, which is often all I am given to do couple portraits and this is why the images from eloping couples weddings are so much better. I have more time and no distractions. The absolute worst problem is during the entrance and exit of the ceremony. These are already difficult shots to take, since they are fast, in movement and the light can change dramatically. People will just put themselves between the photographer and the couple without a second thought. Even if they don’t, the sea of cellphones pointing at the bride when they enter is just really the most unromantic sight. Most couples find having their picture taken quite traumatic, but when groups and portraits have to be done over and over thanks to guests, the couples tend to have had their fill of photography by the time it’s my turn. Every bride wants to look her best on her wedding day. Most tell me they don’t like pictures of themselves. The reason is that most of the images they have seen of themselves, have been taken with cellphones. Taking flattering images is an art form and best left to professionals. Even worse, your guest go and post those most unflattering images all over social media. Have an unplugged wedding at least until the reception. Ask all guests not to take pictures with their devices until the reception. You could buy the negatives from your photographers and make copies for your guests. The added bonus of this is that cellphones and ipads take very unflattering pictures, in this way you can insure you don’t have any images you hate, being posted on social media for the world to see. Make sure your friends with their big cameras are not going to shoot during the ceremony. Naturally this is not a must, they are your wedding images and it’s up to you. But after having shot hundreds and hundreds of weddings, this is my experience. 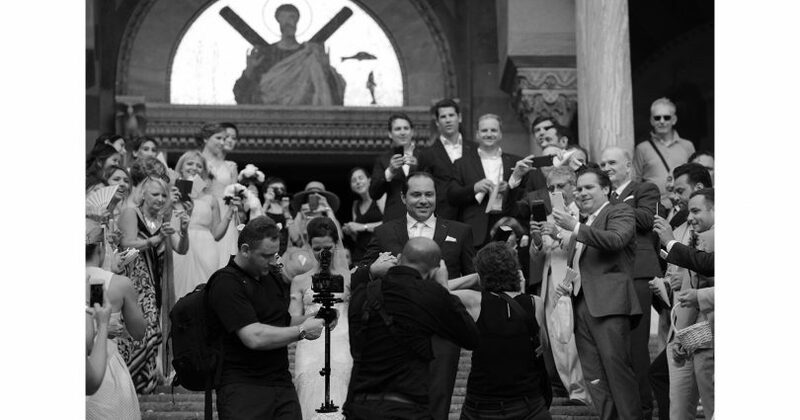 It used to be much easier to shoot weddings when cellphones didn’t take images. It is such a shame to ruin your wedding pictures for such a little thing. It also means that guests can actually live the moment, instead of recording it to relive it later.